If you recently bought a new TV you may be asking yourself the question: Should I get a new entertainment center or mount my TV? Each option has its benefits, so let's explore the pros and cons for both. We'll start with entertainment centers, because that's usually what people already have in-home or what they're used to using. Furnishings — A step up from old-fashioned TV stands, entertainment centers can be attractive pieces of furniture that tie your living room together or make a design statement, showing off your personal style. You can even make them appear to be built-in, for an architectural focal point in your room. Storage — Entertainment centers tend to be large pieces of furniture, so they can offer convenient storage for your media, decor, books, and even toys. Not as safe for kids — On average, a child dies every two weeks in TV or furniture tip-over fatalities. Entertainment centers and TVs should be fastened to the wall to prevent tipping. Toddlers are most at risk for climbing onto furniture. Don't work well in all environments — Entertainment centers don't work well if you don't have enough space or the right room configuration. 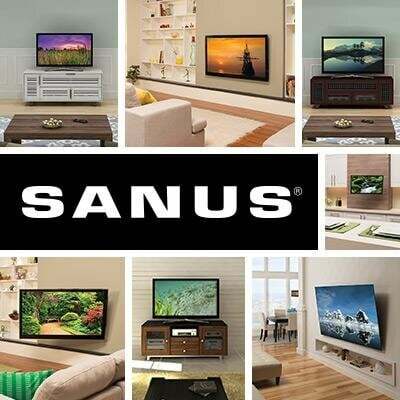 They work best in living rooms that have a dedicated television wall. In bedrooms, kitchens, or cramped spaces? Not so much. Limited viewing height and angle — Entertainment centers are static pieces of furniture. To alter the height of your TV for optimized viewing height, you will either need to add height to the entertainment center (which is NOT SAFE), or you'll have to mount the TV to the wall. TVs atop stands or entertainment centers can swivel a few degrees from side to side on their base, but they don't have full mobility. Dust underneath — Unless you've got a robot vacuum, you'll likely find yourself vacuuming or sweeping under the entertainment center. If you have small children, you'll spend some quality time with the dust bunnies and a flashlight, unearthing favorite toys. When Is an Entertainment Center the Right Choice? An entertainment center might be a better choice for you if you need plenty of storage and if you have one clear spot to put the television. 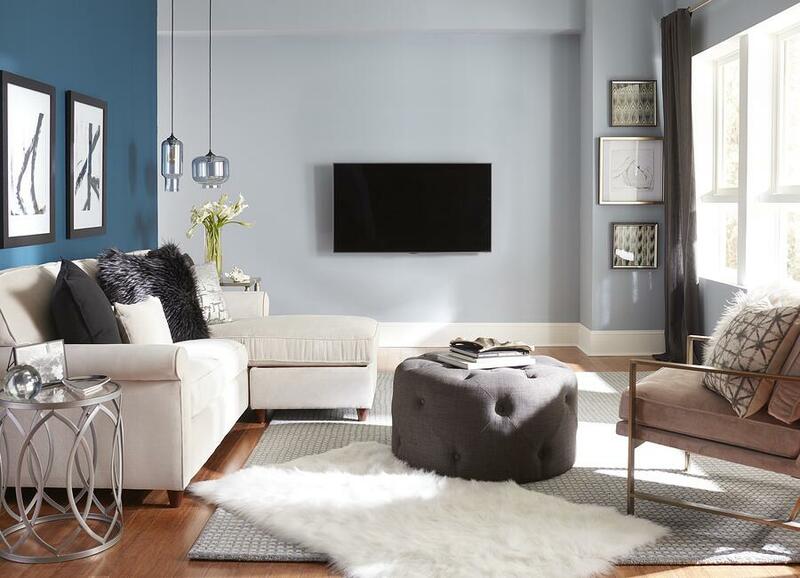 If you're looking to give your space a refresh, a TV mount is one way to get out with the old and in with the new. You can use them with entertainment centers — So if you need storage, you've got it. But with a TV mount, you have more freedom deciding what furniture to use, because you don't have to worry about the correct viewing height. They're safer for kids — With the TV mounted to the wall, it's not going to fall on your kids or pets. 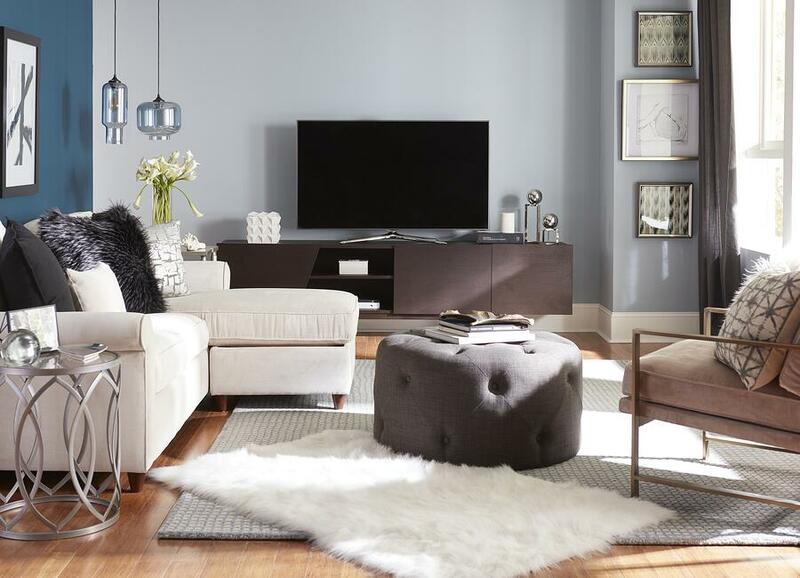 Minimalist and modern — TV mounts can be a stylistic choice for a minimal look or a practical choice, for rooms where you can't fit extra furniture. How about a TV in your bedroom, kitchen, or game room? How much more laundry or working out could you get done if you could watch your favorite shows at the same time? More options for rearranging — Since you can use a mount with or without furniture, you have more options for rearranging. You aren't stuck with an entertainment center that only fits on one wall. Switch the furniture around or mount your TV somewhere else. TVs can be mounted virtually anywhere, even the ceiling! Superior mobility for best viewing angles — Get a tilting mount to turn your TV downward (especially above a fireplace or for gaming), or get a full motion for watching from any spot in the room. No storage — Yes, you'll have to decide where to store your stuff, but you have more freedom with a TV mount. Choose a vintage dresser, or industrial lockers, or a surfboard bench. Add floating shelves to the wall for decor or add a sleek and functional wall mounted media shelf. You decide. Hiding the wires — One of the main reasons people hesitate to buy a mount is that they don't know what to do with the wiring. Don't worry, we've got an easy solution for that one. When Is a TV Mount the Right Choice? TV mounts are definitely the best choice if you have small children, if you are pressed for space, if you don't need extra storage (like for a bedroom television), if you want total freedom for placement of your TV, or if you want multiple viewing angles.